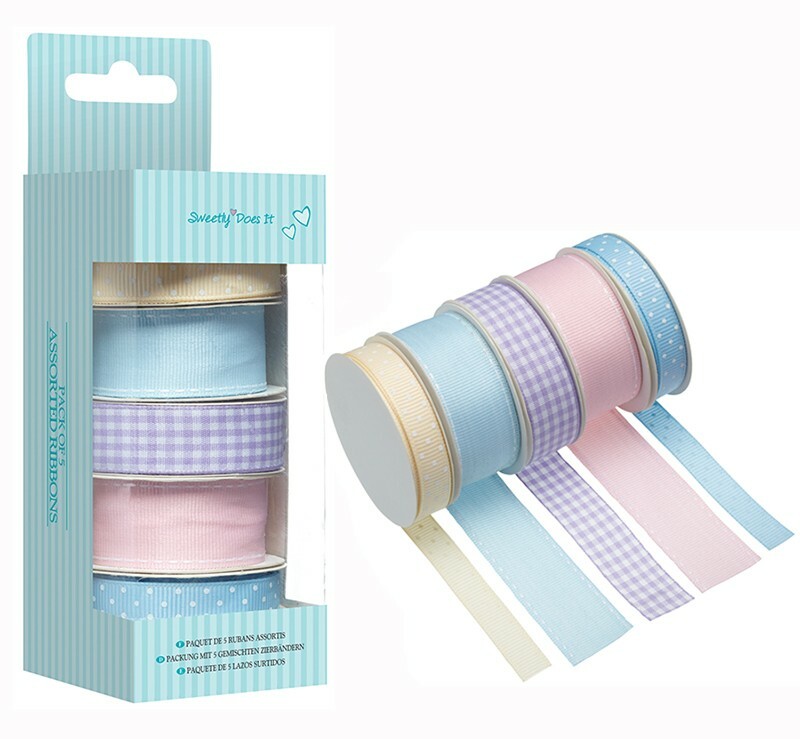 Ribbons for decorating in assorted pastel shades: blue, pink, yellow and violet. With these ribbons you can beautifully decorate home-made products such as jars, presents and cookie containers. They are also ideal for many other home activities.